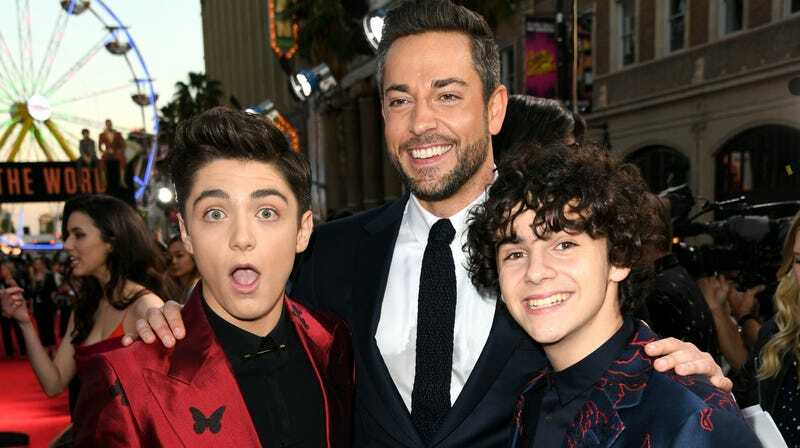 The Thursday night box office numbers for New Line and DC’s Shazam! are in and it looks like the little guy is going to be just fine. Per a report from Deadline, the film grossed $5.9 million in U.S./Canada Thursday night previews with an additional $3.3 million from Fandango’s earlier advanced screenings. That’s a total of $9.2 million for Warner Bros. just before the weekend rush. And that’s just the beginning. Early tracking indicates that the film should expect a domestic pull of $45 - $50 million opening weekend across 4,217 theaters and a total haul of $145 - $170 million, internationally. So if the guy wants do that silly-looking floss dance, it’s fine. He’s more than earned it. Directed by David Sandberg, Shazam! stars Asher Angel, Zachary Levi, Mark Strong, Grace Fulton, Jack Dylan Grazer and Djimon Hounsou. It is the seventh installment in DC’s Extended Universe. Also opening this Friday is the remake of Stephen King’s Pet Sematary, which banked a solid $2.3 million in previews.